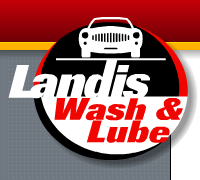 Landis Wash and Lube is regularly and frequently hiring for all positions in our car wash and auto maintenance/lube center. We are an equal opportunity employer and offer great benefits packages and a fast-paced, outdoor working experience, with direct customer interaction. Print out the application (PDF file) and apply in person, during business hours OR email resume to resume@landiswashandlube.com. An upper bay lube technician is primarily responsible for the maintenance procedures underneath the hood of the vehicle and for direct contact and communication with the customer regarding their vehicle. Previous experience in automotive maintenance, familiarity with mechanics hand tools, and basic computer skills are required. A lower bay lube technician is primarily responsible for the maintenance below the vehicle. Previous experience in automotive maintenance and familiarity with mechanics hand tools are required. A greeter is primarily responsible for greeting customers when they arrive, cashing customers out, and care of the customer waiting areas. Excellent customer service skills are a must! A greeter is primarily responsible for greeting customers when they arrive, cashing customers out, and care of the customer waiting areas. Excellent customer service skills are a must! Must be able to work weekends. Car wash attendants are responsible for interior cleaning, tunnel operation, and hand drying of vehicles. No previous experience required. Weekends are a must! OR email resume to resume@landiswashandlube.com.